With just over 4 days left until the 2012 Olympics, it’s time to start warming up for the famous opening ceremony! WIN the ultimate opening ceremony hamper, filled with Woolies snacks and other goodies to keep you on track during the festivities. As a little extra, we’re also throwing in one of the first signed copies of my new book, Simple & Delicious : Recipes From The Heart (Penguin Books SA). The Hamper will be delivered on Friday, 27 July in time for the Opening Ceremony while the cookbook will be delivered towards the end of August closer to the release date. Like the Simply Delicious Facebook Page HERE. Comment below notifying me that you’ve done both. This Competition runs from Monday 23 July – Thursday 26 July 10:00 am. Only available for residents of RSA. whoops, nearly forgot to do this part! Anyways, its done. A nice competition, to the winner; enjoy! Good morning. I have entered the competition and copied the information to facebook. nearly forgot this part! Done, whoever wins, Enjoy! Have done all of the above! Posted and following on twitter as @samiola_88. what an amazing prize! SIMPLY AWESOME, DELICIOUS AND GREAT! I ahve done both – roll on hamper!!!! Ok I LOVE (like) and have tweeted and posted to FB so yah… let the games begin! all done, a long time fan, thanks. Entered both FB and Twitter! Yew I hope I win, I love woolies food but can never afford it as a student lives off potatoes and beer! Just shared on FB and Liked! I have liked your page and wowi everything looks yummiiieeee! I have put it on my wall! Have a fabulous day. I have shared it on my facebook page and have tweeted it. What an awesome idea! I have liked the FB page and shared it on the Facebook. I have shared it on Twitter and Liked your awesome Facebook Page! Hoping to bring this one home I am a massive WOOLWORTHS fan!!! I just entered #OlympicsGiveaway with WOOLWORTHS SA & Simply Delicious Food Blog. I am so excited to win and share with all of my friends! Completed both instructions! Now I crossing my fingers and my toes Lol! I have liked the page and shared the link on Facebook and Twitter! I’m hoping it’ll be my lucky day, looks like a yummy hamper and the cookbook sounds great! I have entered the Simply Delicious competition…sounded amazing so i couldn’t resist. I absolutely love Woolies…but no one loves Woolies more than my mom. She’s in the store EVERY day. No joke! 🙂 Thanks for the opportunity. Facebook, commented and now loving that I know about your page! Like your fb pages ages ago ‘cos I like your style of writing and cooking and the pics are too awesome ! I have tweeted to the tweeps and face booked the faces !!! Have a happy day ! I have postedand shared on Facebook and Twitter! Posted to facebook and hoping for the best. I tweeted it and put it on Facebook. I already “like” the FB page…. Awesome competition! Geat way to get in the Olympic spirit! Tweeted and send to fb 🙂 lol oh AND liked the page.. Liked – shared – and hope to win! 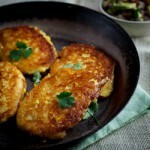 PS : Love your food blog maes my life so much easier! Liked (very much) and Tweeted 🙂 @LyndeOpperman! Go Team SA! I’ve Liked and reposted and commented and spread the Woolies word!! hehe my dad just had a knee rplacment and isnt mobile at the moment he would kill for this!! so shared shared and shared again!!! wow this is such an awesome prize, a great way to watch the olympics!!! 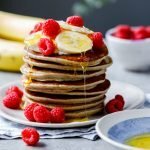 i love Simply Delicious Food Blog so much!! Have liked your page and pasted to Facebook! I liked (loved your page) and shared it on Facebook, awesome site! Have just entered your delicious competition and hoping to here from you soon. I left the link on my face-book wall. I have shared on my facebook page and liked the Simply delicious page. Pictures made me hungry. I have done what you said, the twitter and the facebook think… I just wanted to let you know. I am looking forward to winning your new book and the extra! My hubby is a chef and he would love to learn new recipes and I would love to try them :). Thank you, all done on FB as requested. Just have to sit and wait now! Thank you Woolies. All done via FB. Cant wait for Friday evening and the next two weeks of Olympics. Fingers crossed. Thank you Woolies for your wonderful food selection and quality! I have liked and shared on Facebook 🙂 Go Team SA!!! All entered.Let the games begin! I so so so hope I win this. I love Woolworths!!! Hi, i have just posted on both Facebook and Twitter. Just entered, liked and shared the #OlympicsGiveaway competition with Woolworthes and Simply Delicious. Holding thumbs for the amazing price! I have entered the WIN the ultimate opening ceremony hamper with Woolworths & Simply Delicious . . I have liked and shared as requested!! I have shared on my facebook page and liked on the Simply Delicious Food Blog facebook page. Pictures made me very hungry. Hi I have liked and entered the competition via Facebook. I would love to win this as I am having an Olympics opening ceremony party on Friday. Love the sound of your new cook book by the way. I just entered the competition by sharing the link on Facebook and Twitter!! Crossing every crossable limb that I will win this hamper, as I love Woolworths goodies and foods! And I looovvvee the Olympics 😀 Here to wishing I win!!!!! LIKE’d on Facebook, shared on my Facebook Page and now commenting!!!! Please I would love a woolies hamper…I’m sending positive waves to you, I havent won anything in years! Already Liked on fb 🙂 ready and waiting to indulge on the goodies ….. not to mention the Olympics !!!!!!! Liked, and shared on both Facebook and Twitter!! Holding my breath, crossing fingers…baie opgewonde! wow waa wee waa…. I have done all you have asked!!! Cant wait for the Olympics to start, and holding thumbs for those yummy goodies! Done – holding thumbs for the prize! I have liked the facebook page and shared the link on fb (“,). I have liked your page with all your delicious ideas and shared the link. Woolworths you are phenomenal !!! I have liked and shared the link on Facebook. Have liked it on Facebook. I have liked on facebook and have sent the link out on Facebook. Looks very yummy! I have just entered the competition via facebook. Liked your page and shared. Really hoping to win something. Entered 🙂 liked and shared thanks! I have liked and shared the post. I have just entered your amazing Olympic giveaway 🙂 I liked your FB page and sent off the tweet. All that is left is to cheer proudly for our team – GO South Africa!! I have just entered your incredible Olympic Giveaway 🙂 Liked your FB page and sent off the tweet. All that is left is for us to proudly cheer for our team – Go South Africa!! 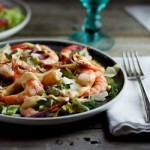 I’ve just entered the Olympics Giveaway with WOOLWORTHS SA & Simply Delicious Food Blog. Already liked the Facebook page and shared the link on Facebook. I’m commenting now and hoping I’ll be lucky. Liked and shared! Lovely blog! WHOOP WHOOP! ! Can’t wait to see the opening ceremony!!! Go team South Africa! You are already winners in our eyes. I have liked and shared, tummy grumbling after looking at all the pics and recipes in SIMPLY DELICIOUS, can’t wait for my hamper of delicious snacks!!! I’ve entered and am holding thumbs! You are already liked and I have shared. I have popped this on facebook and ‘liked’ it. Fingers crossed. Firstly….I ‘Liked’, then I Tweeted. If I don’t get the hamper…..well will see how it goes. Awesome…thanks for the post. All done – great prize! Done – hope i win! Page liked, FB shared & tweeted! I just entered #OlympicsGiveaway with WOOLWORTHS SA & Simply Delicious Food Blog. You can do the same here: http://bit.ly/MRXEdH. Cant wait to see if I won!! Just liked the page and posted it on facebook! Hope I win! Thank you for an awesome blog! I have liked the page and put up on twitter (Colzgg). I have entered the WIN the ultimate opening ceremony hamper with Woolworths & Simply Delicious . . .liked and shared on facebook. I have liked the facebook page and tweeted as well!! Oh wouldn’t it be nice to win a lovely hamper – it will make me feel like an olympic medalist;-) already shared on facebook. What a great prize! Cheering on our guys and gals in style is just up my alley. I let everyone know via FB. What an awesome prize, just entered !! Liked your Facebook page and posted and shared the link on my page as well. Just did it, hope it comes my way!!! super excited about the olympics. Liked your FB page ages ago, tweeted and facebooked as requested. PICK ME!PICK ME!PICK ME!PICK ME!PICK ME!PICK ME!PICK ME!PICK ME!PICK ME!PICK ME! I am a fan of the Facebook page, and i just tweeted the competition! Holding thumbs!!! What a lovely idea! Shared. Done & done 🙂 Fingerz crossed! I have liked your FB page and tweeted. Liked, shared and hoping to win! Super Cool Prize!!!! This would be nice!!! I have entered, pasted the link on their wall and my own fb page! Holding thumbs! Liked and Facebooked. Nice, yummy competition. Facebooked, Tweeted and Liked! Looking forward to the announcement and good luck to all who have entered. Thank you for running this amazing competition!!! Tweeted, facebooked and liked 🙂 sounds great! All the best with your book. Done my bit!! Can’t wait!! 🙂 Fingers and toes crossed!! Done! Hoping my good luck is working for this one! Thanks! Done – Facebook & Twitter! Done! Hoping my name is picked! I have liked and tweeted the requested page. Bring on the Olympics. Posted both links on Facebook and Twitter. Good luck! ENTERED AND HOPING TO WIN!!!!!!!!!!!! 😀 😀 😀 excited! I’ve tweeted and posted on Facebook. 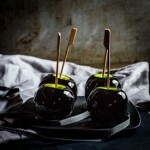 I have liked the Simply Delicious page and have posted on Facebook! I’m so excited to win the hamper and recipe book!! I’ve entered the competition by reposting on Facebook and liking this page! Whoohoo! Entered via Twitter, FB page liked, tweeted etc. Done. Liked and posted on Facebook! Can’t wait for the Olympics to start! Just entered the competition via facebook.liked it. Wow hope I win. Just entered via twitter, yeay! I have liked your page and copied the required on facebook.. I have liked,facebooked and twittered the competition. done! hopefully I am lucky! I have entered via facebook and via Twitter 😉 fingers and toes all crossed!!! I have completed all points! 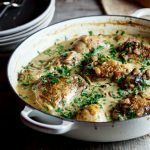 I have tweeted and liked the Facebook page Simply Delicious Food Blog! I would really love to win this great prize!! I have also shared it!! Great competition!! Done! And like it very much!!!!!!! Done…thumbs crossed..entered via twitter and facebook..best of both worlds:)hoping for the BEST! Done. I hope i will have great day of snacks during the opening ceremony. Done 🙂 From facebook.com/WithLoveFromAndrea and @foodevotion on Twitter. Liked the Facebook Page AND posted to both Twitter (@kennethblane) and Facebook Holding thumbs for an AWESOME party!! WHOOP WHOOP!!! iked the Facebook Page AND posted to both Twitter (@kennethblane) and Facebook 🙂 Holding thumbs for an AWESOME party!! 🙂 WHOOP WHOOP!!! Just done thelike and share. I have liked and shared it on FB. awesome prize. Liked Simply Delicious on Facebook! Whoop whoop!! I just entered via twitter and facebook!! I’ve entered both and looking forward to the opening ceremony to see the SA Team march by. I came, I saw, I tweeted, I liked and I facebooked! iv just shared via fb!! You can count me in for this lovely giveaway – and I’m waiting in eager anticipation for the results! Thank you! :) PS – cool blog you have! Done both:) What a lovely give away! I have liked and facebooked 🙂 Holding thumbs! I have liked, shared & tweeted. What an awesome prize. I’ve liked your Facebook page and shared on twitter and Facebook 🙂 woohoo! Would love this goodie bag and your recipe book! With the Olympic circles flying high to celebrate, i have my victory symbol here in SA, “WW” No.1 in the Shops! Done! Liked FB page already and tweeted. Liked and shared on both facebook & twitter! I have entered the competition by liking the Simply Delicious page and shared it on my wall on facebook. Holding thumbs now!!!! I just entered this awesome competition, shared with both Facebook & Twitter. Done!!! Can’t wait to see!!! Entered the ultimate competition. Shared on Facebook and Twitter. Hope I win. I liked on Facebooked and tweeted as @Claudz. Thanks for an awesome comp – will be keeping my fingers crossed! I have shared the competition on both Facebook and Twitter, and like both Woolworths SA and Simply Delicious on both social media as well. I have posted it to FB and Tweeted it!! Hope I can win!! 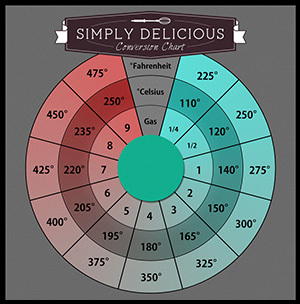 Posted, liked and looking forward to simple and delicious ideas for my kitchen! I have entered and posted on Facebook and twitter! Liked the FB page and shared it on my newsfeed…fingers crossed! thats my entry in and now all I have to do is wait for the delivery …..holding knees thumbs and toes…………. entered and ready to win!! This is such an awesome prize!! Have liked the page and. Tweeted it!! Good luck to everyone and thabk you for thhis opportunity to enter!!!! Done and done! I hope I win! I have tweeted the Olympics Giveaway with WOOLWORTHS SA & Simply Delicious Food Blog. Yay I’v done it!! I would love to win!!! Just shared the link on facebook! Done, thanks for the opportunity to win such a fabulous prize! Done, tweeted and facebooked 🙂 can’t wait! i just entered the competition now, hope i win!!!!! tweeted and facebook-ed 😉 yummy prize! now just to win the prize! already liked – just posted on facebook. I liked the facebook page and I shared it on twitter and facebook! Hope I’m lucky! Done it 🙂 this would be a fab prize!! great kompetisie wow…… just entered on facebook. Done and dusted on Facebook! 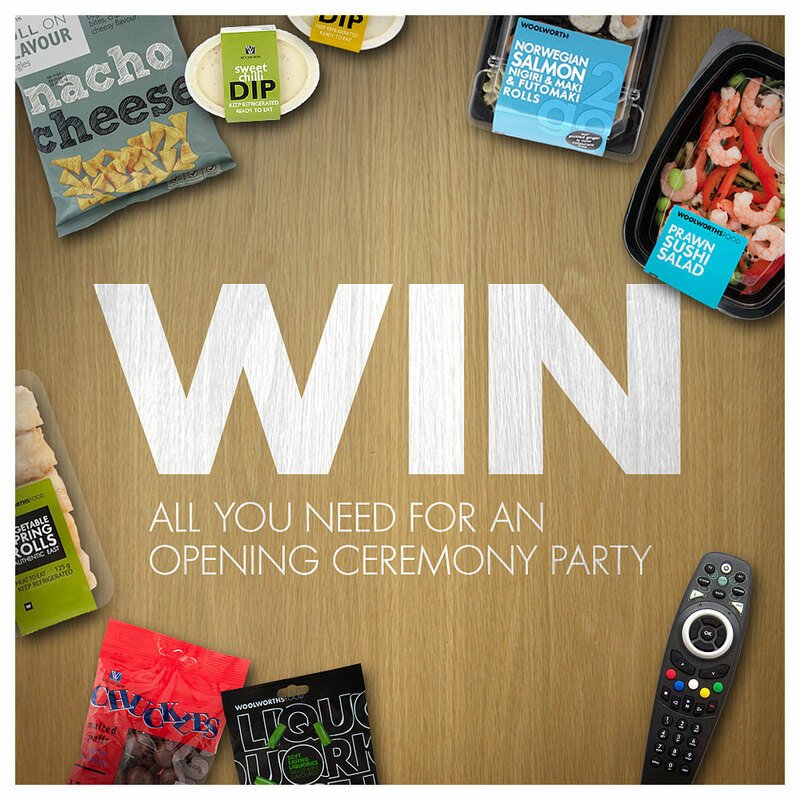 I have entered the WIN the ultimate opening ceremony hamper with Woolworths & Simply Delicious . . . Liked and shared on facebook . . . Liked the page, shared the link on Facebook & tweeted (@princessruw). Holding thumbs! Hi! Just Liked and FB’d to enter competition! I have twittered and tweeted – now waiting for my fabulous prize! I have done it! (via facebook). Hope I’m a winner! I have entered via twitter and Facebook. I’ve done both!! Holding thumbs! Done 🙂 Already a fan of your website and Facebook page and ardent admirer of your cooking skillz and frequent tester of your recipes 🙂 Thanks for the inspiration!!! PS – falafels turned out AMAZING!!! I have liked your Facebook page, and shared your link on Twitter and Facebook. yum yum yum cos its done done done! Actually Liked the page this morning!, before even hearing about this competition.. had a good browse through the website, and just tweeted. Done both! Hoping for the best! Yay awesome giveaway, page liked and giveaway tweeted! Entered – liked the page and shared the link on FB! Done!!! Will be nice to win since I am home on maternity leave!! Just Tweeted and Facebooked about all the awesome goodies I’m hopefully going to win!!! just did!!! Can’t wait for the 27th! like it and shared it… bring on the yummies! I have liked the facebook page, entered through facebook and twitter. Can’t wait. Thanks for all the delicious goodies on the blog!! Awesome idea to get the Olympics started on a high note. Have liked your facebook page and twittered. Done and Done! Sooooo hope I win! I just entered the competition! All ready looking forward to the Olympics…but watching it with this hamper will make it even more awesome! Liked and shared your page, bring on the snacks and go SA go! I have liked the Simply Delicious Food Blog on Facebook and I’ve tweeted the message above. Holding thumbs! Entered, liked, tweeted and facebooked thanks for an excellent page! Liked, Tweeted, Fb shared! woohoo! I’ve done the required to enter the competition!! 🙂 Crossing fingers & toes! What a great prize! have done both! thx for the chance to enter! I’ve entered the Woolworths and Simply Delicious competition!!!!! This would be the perfect snack to kick of the OLYMPICS!!!!!!!!!!!!!!!!!!!!! I have liked the page and entered via FB and Twitter !! Fingers and toes crossed !!! Have liked Simply Delicious facebook page. Have tweeted as instructed and shared to facebook. Twittername:online61524 Awesome giveaway. Holding thumbs! I have done all 3 points, shared on fb and twitter and I’ve liked the page as well! Done and dusted! I just entered 😀 fingers crossed. Pick me !!! yummy yummy yummy,this would be a fun get together,hoping to win! Just liked the page, and shared on facebook! Hope i win the delicious goodies, even if I dont there are still some awesome things to try on this blog! Wow! Holding thumbs! Liked the page and posted on Facebook! I have entered the competition to win the opening ceremony hamper, would love to win it, to share with friends and family, as sadly missed out on getting any tickets to ANY events!!! and too pregnant to travel now !!!! good luck everyone !!! Liked under Abby Stiletto and posted Facebook! I have just entered, on facebook and twitter. I dont know which part is more exciting, the hamper or a signed copy of Simple & Delicious 🙂 I think both! Liked along time ago…just Facebook updated. Ek het altwee gedoen. Oh my seuns sal om val vir al die lekker goedjies en ek wil SO GRAAG jou boek he dis ridiculous. Just entered the competition and holding thumbs. Wow, what a prize, holding thumbs! I entered on Facebook and Twitter as instructed. To all the South Africans competing in the 2012 London Olympics : Bring home the Gold ! Good luck, give your best and may the best athlete wins ! Liked. Posted on Facebook. Notifying you that I’ve done both. Waiting (in suspense) for the announcement. Yay! Liked the FB page, tweeted the link (@vintagorphanage), commenting now and keeping my fingers crossed! I just entered via Twitter. Tweeted . . . Already Like . . .